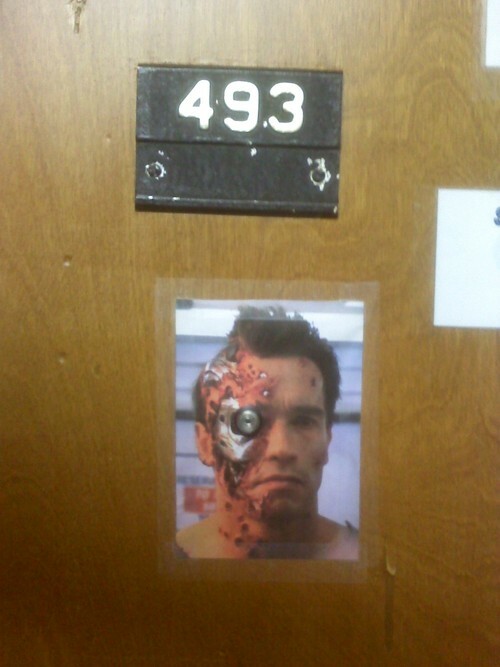 It's a peephole on an apartment door.It took me a minute, too. Ah, gotcha! I THOUGHT it was the actual room where the terminator was in Terminator part one in the hotel and the owner was trying to commemorate the movie. HAHA.... Then I reasoned that I just didn't get it. Thanks for explaining.